Similar to last month's Autism Awareness link-up with my boo boo's from the Beauty Bloggers of Central Florida, this month we are donning the color purple in support of Lupus Awareness. Cue "Purple Rain" by The Artist Formerly Known as Prince. If you're unfamiliar with lupus, it is a chronic, autoimmune disease that can damage any part of the body. There is no cure, and having several friends who suffer from this disease, I am all about supporting lupus research. You don't really hear about lupus much, which is why I'm so glad that the Beauty Bloggers of Central Florida chose to band together and sport purple to support this cause. I know people who have died from lupus, and it is definitely a serious condition. For more information on lupus and ways to can support lupus research, click here. 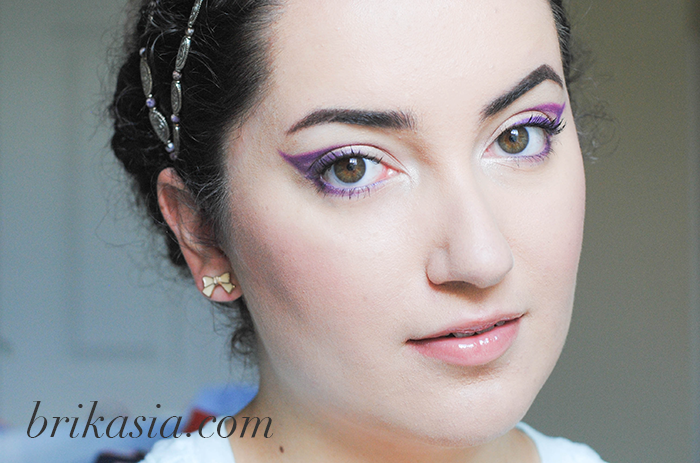 For my purple look, all I really used was the Urban Decay Electric Palette. I have been in the mood to do a fun cateye/cut-crease combo, and knew that this would be a great opportunity to do this! So, with the Electric Palette, I used Urban with a pencil brush, and lightly drew out the shape of the eyeliner. For those of you who have never done a look like this before, you may want to use a white eyeliner to map out the shape first. Since I didn't want any harsh lines, I used Jilted to blend the line out a bit. In the empty space, I used Urban Decay's Sin Eyeshadow, and lined my waterline with the Urban Decay Ransom 24/7 Eyeliner and used the Make Up For Ever Extravagant Smoky Mascara. Anyway, check out what my homegirl's from the Beauty Bloggers of Central Florida did in support of Lupus Awareness Month! Wow, what a beautiful picture! 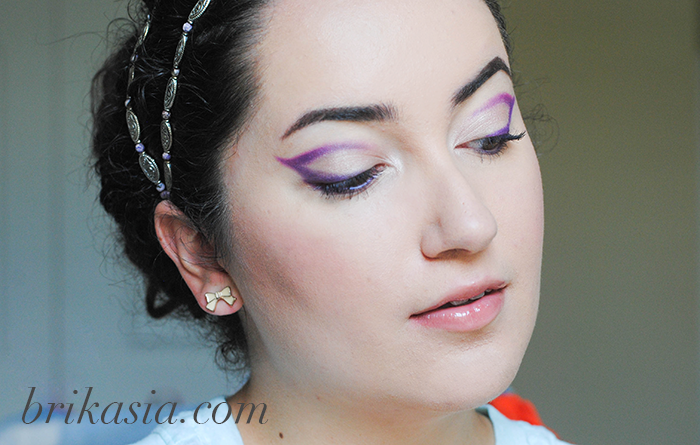 Love the purple shadow! I ALWAYS love your makeup looks!! This look is everything!!!!! The shape of the cat eye is to die for. I really wanna give this a whirl. Ohmigosh...this is absolutely stunning. Like, I have no words. You've got the eye shape for it. Love, love!! Aww thank you B!! Appreciate it. Purple is such a gorgeous color on you! I love the cause as well, it's so wonderful to support others and raise awareness. Aw, thanks Jordan! And I agree! This is GORGEOUS! Fierce look and you completely pulled it off!